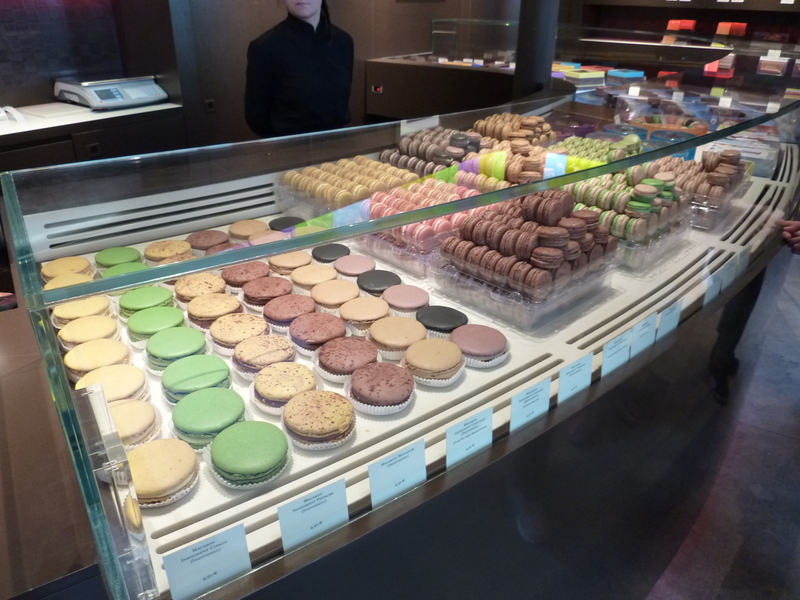 Paris – Part I: Macarons taste test | beam me up, biscotti! 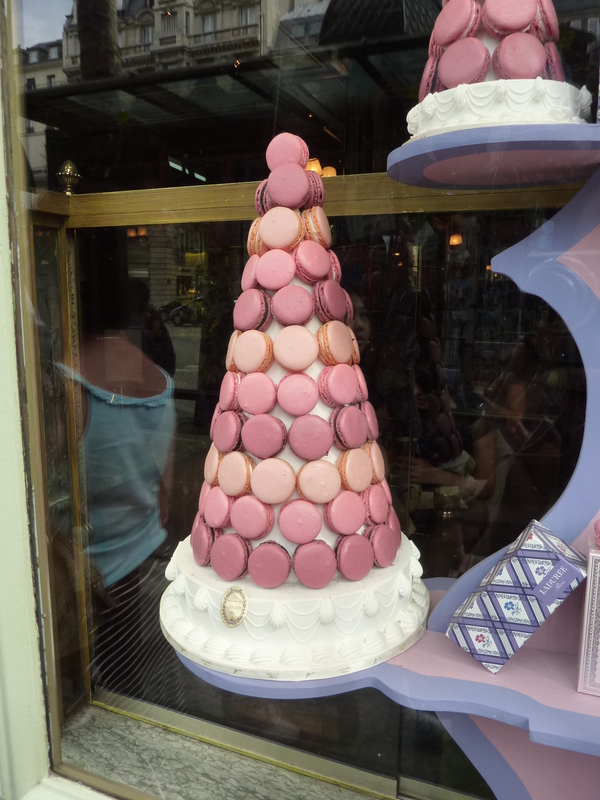 The first question we asked our Parisian tour guide was “Where are the best places for Macarons?”. She swears that the best macarons are not from Laduree or Pierre Hermes (both brands are available in London) but from Fauchon and Hediard. So immediately after the tour and armed with our maps, we make our way over to Fauchon and Hediard to sample some. 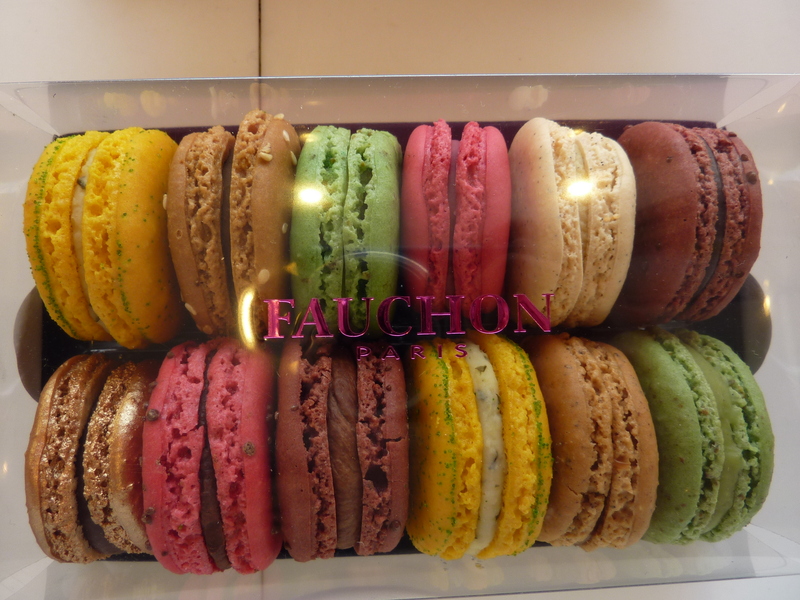 First stop Fauchon – I’d like to say they were the best ever but Fauchon macarons were disappointing. The macaron shell texture was visibly lumpy, the flavour was good but not consistent because some flavours were too sweet and other flavours like the lemon and mint was a soggy even though I ate it fresh (read: popped into my mouth as I walked out of the shop). 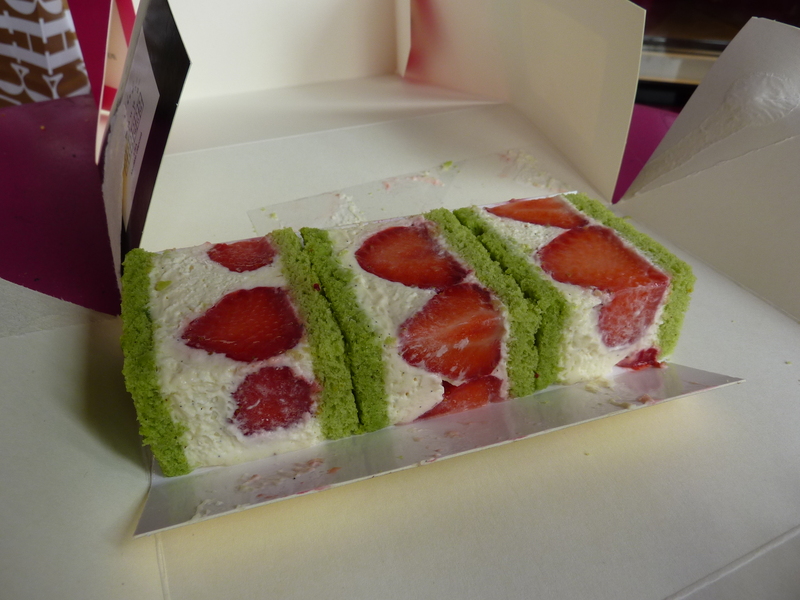 The redeeming factor came in the form of a pistachio sponge, vanilla bean cream and fresh strawberry cake my now Parisian friend Miss T ordered. Mmmhh!! I don’t think I could fault anything about it. 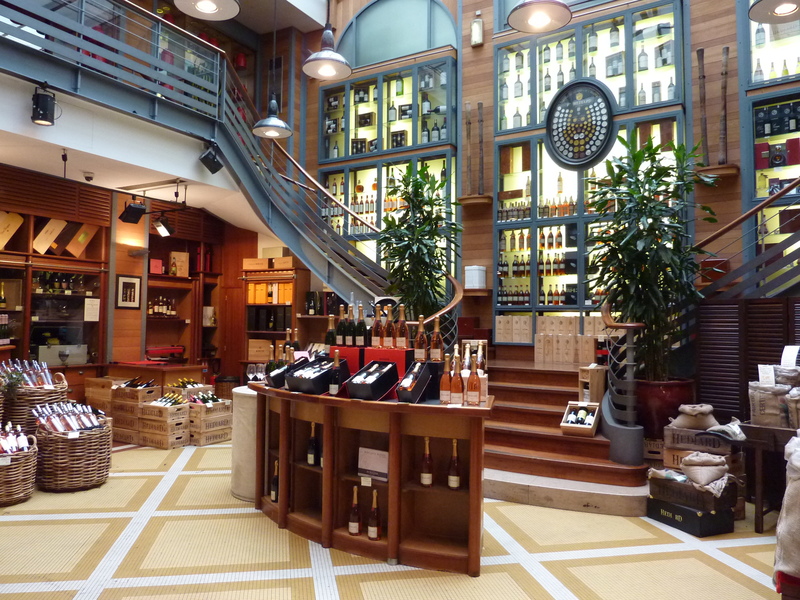 Second stop Hediard – a pretentious gourmet food shop which unfortunately did not stock macarons on that day. So we left empty handed. I guess this means we need to come back to Paris another time. Third stop Pierre Hermes – The man himself has been exalted as a God in Japan because of his macarons and if that were not blasphemous I would be inclined to agree. These are Macarons with the X-factor. Quirky flavours like olive oil and vanilla, hazelnut and asparagus that sound downright disgusting but taste like a piece of heaven. Fourth stop Laduree – we never actually bought any from Laduree this trip because the queues were frightful. Laduree was a firm favourite of mine for quite a few years until Pierre Hermes rocked into London and toppled this off the pedestal. 1st: Pierre Hermes – for quirky flavour combinations that never fail to turn out tasting amazing and macaron shell texture and silky smooth filling that perfectly flavoured and not too sweet. 2nd: Laduree – for the more regular flavour macarons. Excellent texture and flavour but missing the x-factor.